This comfortable and beautiful guest house is located 4 km from the trail up a mountain road into the aptly named Paradise Valley. There are 2 bedrooms and a sleeping porch, a fully equipped kitchen, laundry and internet. 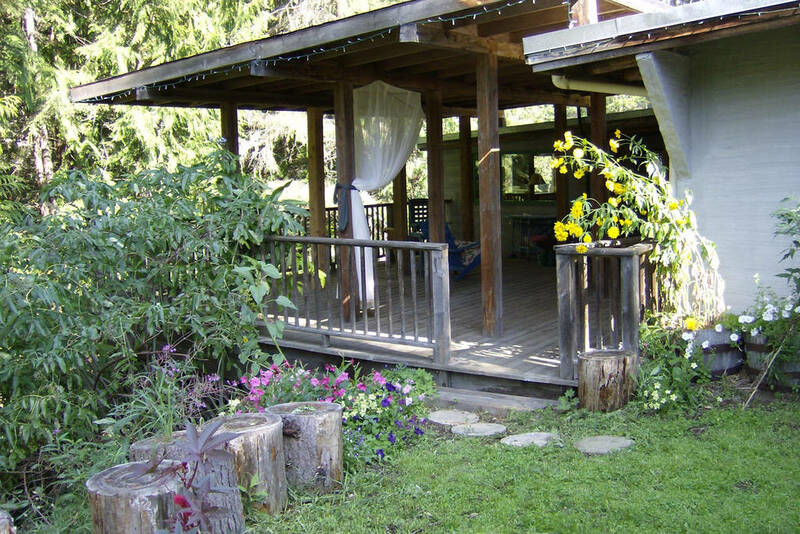 On the spacious covered deck is a claw foot bathtub where you may enjoy a bubble bath in the trees. It’s called Paradise for a reason. Contact Linda Rae Grabler for more information.